Public cloud adoption is rising. A recent Cowen study revealed that companies will be spending 16 percent more on public cloud services in 2017 year-over-year. Organizations are also increasing their use of cloud resources in their work. 18 percent of workloads are now supported by public cloud and 77 percent of current cloud users are likely to add a Software-as-a-Service (SaaS) workload in the next two years. 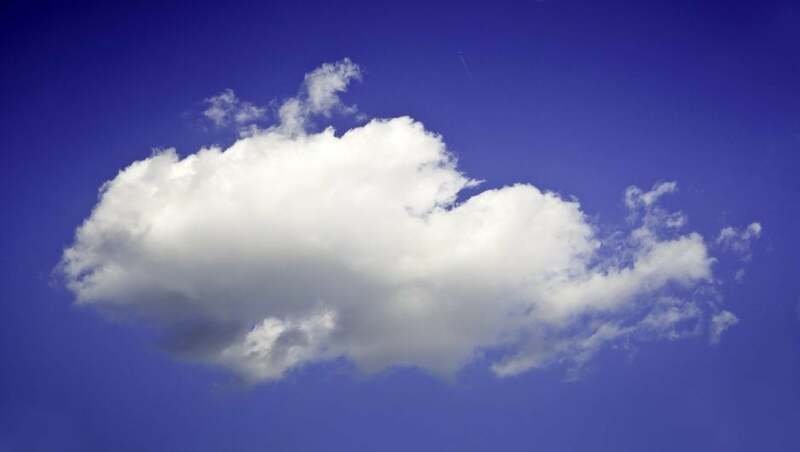 Gartner also expects the public cloud market to grow 18 percent this year. Amazon Web Services (AWS) and Microsoft Azure continue to lead the market and are poised to continue their dominance. The Cowen study revealed that AWS and Azure lead all facets of user experience including user interface, billing, support, and software and data integrations. AWS remains ahead but Azure is starting to chip away at AWS’ lead as Azure displays its savvy in the enterprise market. Google Cloud Platform and IBM round up the list of top providers. This dominance of big-name tech companies should come as no surprise. AWS had the advantage of being the first to offer computing resources through a subscription model. Microsoft and IBM both have their longstanding presence in enterprise computing and Google will always have its following among developers and startups. So, in this game of giants, one may wonder if there’s room for other players to participate. By the numbers, it appears that there should be plenty of room for competition. The total cloud services market is still worth $246 billion this year and is expected to be more than $300 billion come 2020. Marketing wisdom has it that ventures should find a need and fill it. There are specific customer needs that aren’t necessarily covered by these major cloud providers much like how niche and boutique businesses could address focused yet lucrative segments. In the 2017 version of its Magic Quadrant for Cloud Infrastructure-as-a-Service (IaaS), Gartner included a number of niche players such as hosting provider Rackspace and Pan-European service provider Interoute in their listing indicating that there’s room for cloud services that focus on specific verticals. For instance, independent software vendors (ISVs) that seek to streamline their infrastructure requirements can do well exploring these premium cloud services. Unlike major providers, these niche players offer turnkey solutions features that cater to specific uses such as development and testing, user management, and automated provisioning. ForgeRock, a digital identity and access management service, tapped cloud provider CloudShare to leverage virtual lab management capabilities. ForgeRock uses cloud-based virtual labs to be able to train users in the full capabilities of their solutions. Using such a service provides them with key advantages. Aside from virtual training, CloudShare’s virtual labs are used in delivering sales demos and proofs-of-concept and as development and test labs. Many of these small to medium-sized ISVs often place a premium on being able to do more with less. For instance, environment provisioning is not necessarily a complicated process thanks to improvements in virtualization technology but it can take time when done manually. If there is need for dozens of similar virtual environments and machines to be created, the process can take hours or days to finish when attempted by a single resource. Through turnkey solutions, a user may only take a few minutes to a few hours to accomplish a similar task. Also in demand by today’s more agile ventures are turnkey cloud platforms for application development. Cloud platform service Heroku, for example, has gained a following among smaller development teams since the service allows them to create various environments that support different development frameworks easily. This allows them to experiment and even use different programming languages. By taking away the burden of managing the environments and the nitty-gritty of software configuration, developers can focus on the more critical and creative aspects of development. It’s not just startups or smaller ventures that can benefit from premium features. ISVs that offer solutions requiring network complexity (such as cybersecurity) would also find such functionalities helpful. For instance, demonstrating enterprise applications has its challenges. Traditionally, sales teams would often have to carry or ship their own hardware to perform on-premises demos. This method also has its shortcomings since it is difficult to showcase multiple use cases through limited hardware. Using cloud resources, more immersive demos are possible since teams could simply create multiple environments and set them up as part of complex network topologies – something currently not readily available in most major cloud providers. Often, the savings from person-hours alone can justify the price of these services may command. Fortunately, the as-a-service model adopted by cloud service providers has eased the need for upfront costs and companies only pay for the resources they actually use. Major cloud service providers tend to focus on the infrastructure level and creating services that cover a broad spectrum of use cases. The nuanced requirements of companies inevitably would create gaps in their service lineup allowing premium services to focus on these specific needs. As more companies realize that shifting to a cloud infrastructure may not be as straightforward as tapping a major provider, they will ultimately be drawn towards these niche players that could offer them convenience and solutions to their problems. A New York native, currently dwelling in Berlin. Always been a Luddite, but now embracing the tech world and trying to make a name for myself as a tech journalist.